Your data and programs need a home, and 1TB hard drives are now commonplace. But bigger isn’t necessarily better: Solid-state drives have decidedly smaller capacities, yet offer a noticeable bump in performance. As for other storage media, if you want to install disc-based programs or watch Blu-rays and DVDs on your PC, grab an optical drive. They’re inexpensive, and prices for blank discs have dropped too. Flooding in Thailand has made storage devices uncharacteristically expensive. Even so, files still need to be stored, and the 1TB Western Digital Caviar Blue hard drive is spacious and (relatively) speedy. At 1TB, the Western Digital Caviar Blue hits my bare minimum for total storage capacity. You’ll have room for gobs of music, photos, and movies, as well as space for any applications you install along the way. It’s a 7200-rpm drive, and it uses the 6-gbps SATA interface--it’s nowhere near as fast as an SSD, but it’s a lot cheaper per gigabyte. 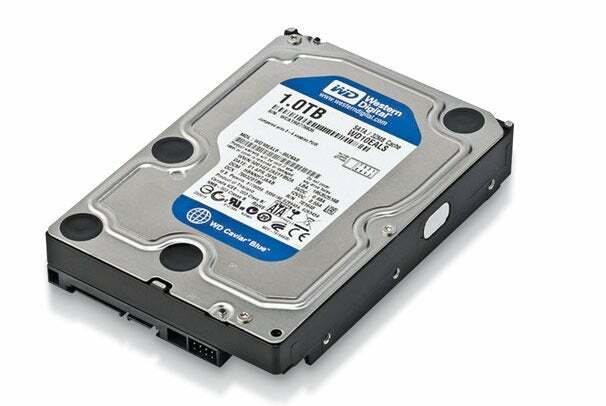 If you need more space, 2TB and 3TB 7200-rpm drives are on the market. Solid-state drives have come a long way lately. Though they're still not as inexpensive as I’d like, an SSD will make a world of difference in your daily computing. 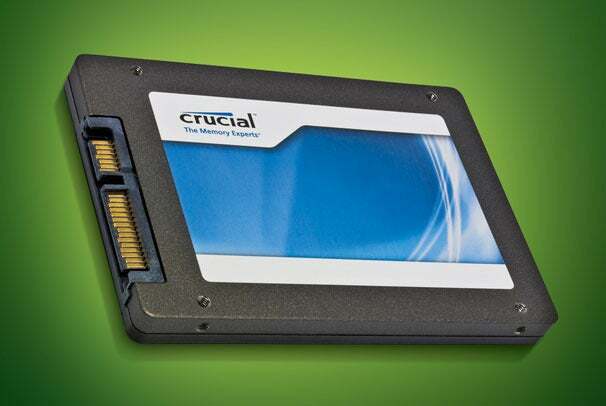 A drive as small as the Crucial M4 64GB should be reserved for Windows and your most important applications; a 1TB storage drive (see above) will be the main repository for your data, but this modest SSD will add a bit of pep to your workflow. This year will see more options in inexpensive SSDs. Companies such as Corsair have announced small, affordable solid-state cache drives that will analyze your computer usage and store frequently used programs and files so your PC can access them more quickly. We’ve seen iterations of this idea most recently with Intel’s Smart Response technology, which lets you dedicate an SSD (or a portion of it) as a memory cache. And we can’t forget Windows Vista’s ReadyBoost technology, which never really took off. The idea is sound, however--and if SSD prices drop, it could be a great addition to an inexpensive PC. 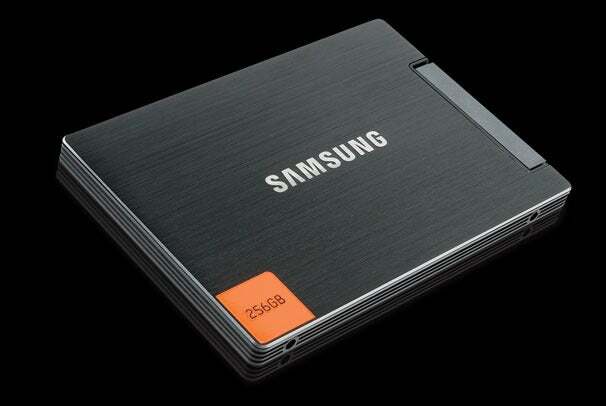 The Samsung SSD 830 Series models offer blistering speeds, and few competitors are currently available. But paying for a big SSD remains a daunting prospect, since 256GB of space for $400 just feels wrong, no matter how fast that storage is. Miserly misgivings aside, the 830 Series won’t disappoint. Samsung says each drive offers data read speeds of up to 520MB per second, and write speeds of 400 MBps. (The 1TB Western Digital storage drive above operates at a relatively poky 126 MBps.) Strong savings in power consumption are another plus, but that’s something you’re likelier to notice in laptops. An SSD is also quieter than a traditional hard drive--silent, actually. And an SSD will improve boot time, enhance file-transfer and search speed, and reduce load times in applications and games. It’s a gift that will keep on giving, and it should prove well worth the cost. You’ll still want to use a large storage drive for your files, but applications will soar on a fast SSD. I’ll be honest: Lately I’d forgotten all about the lowly optical drive. Though an optical drive was once the primary means of getting software and media onto a PC, broadband Internet and streaming services have largely replaced this vestigial component; even installing Windows 7 by USB key is a trivial process. For accessing disc-based content, however, this Samsung drive is a great choice. It burns DVDs and CDs, and it can play Blu-ray Discs. A Blu-ray player would be better off in your entertainment center, but having one at your desk won’t hurt.